Like much of our commonwealth's great treasures, Lakeland Farm is steeped in history. The original farm manor was built in the 1870's and adjoins three well known historic properties, Woodley, Montpelier, and Mayhurst. It is located within a mile of the Historic Town of Orange and and only eight miles to the Town of Gordonsville and central to a number of civil war battle sites through out this area of Virginia. The Farm was purchased by H.B. Sedwick Jr. in the early 1960's with the idea he would build a subdivision on it due to its proximatey to the town of Orange and at that time the first part of Route 15 was being built as a four lane highway. 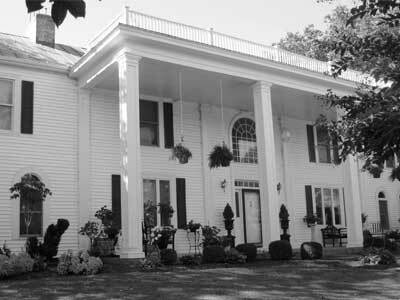 Steve and Janet Sedwick purchased the property in 1989 and moved into the manor home. They completely updated the inside of the original house and added onto three sides of it, keeping the original integrity of their home. The Pavilion is a new facility built near the Manor home with views of rolling fields of hay or dotted with herds of black angus cattle grazing. The gardens overlook the two largest of the three ponds that are on Lakeland. Come experience this exclusive setting of colonial southern elegance with your guests and loved ones.